Bulk Ammo by the Pound, Not the Round! Ammo By the Pound is SOLD OUT!!! For In-Stock Ammo - Check Out the Caliber Listing to the Left! Thank you for your interest - these ammo cans sold out very quickly. Please use the links on the left-hand side of the page to see our current selection of in-stock ammo. 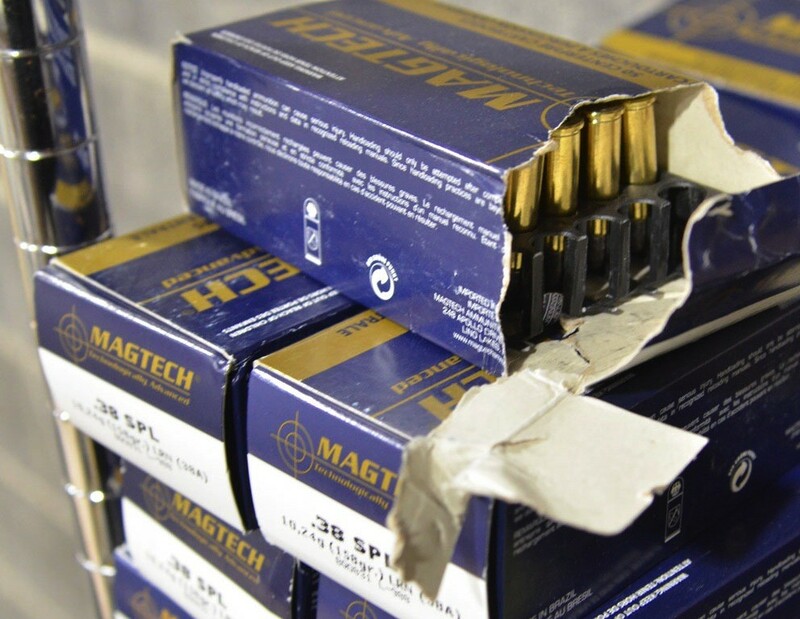 To find out about ammo specials, please sign up for our newsletter below. Generally, we send out ammo specials once per week so you don't have to worry about your inbox getting flooded.. Remember, prices at AmmoMan.com include shipping charges --- the price you see is the price you pay to your door! Our customer service team has been getting a ton of calls from folks asking for Black Friday deals. Well, we can't blame anybody looking to save a few bucks. The problem is, the way this year's ammo market has gone, there isn't much out there we can offer a steep discount on when it comes to ammo. Then, it hit us: A way for us to offer ammo at a steep discount for shooters and not have to fight off debt collectors to do it. More often than we'd like, we pull ammo off the delivery truck from a manufacturer and we find blemishes or damage to the packaging itself. Often, it's nothing major. Maybe the corner of the box was torn or the logo of the ammunition maker was scraped so it's just not as pretty as what you'd expect. 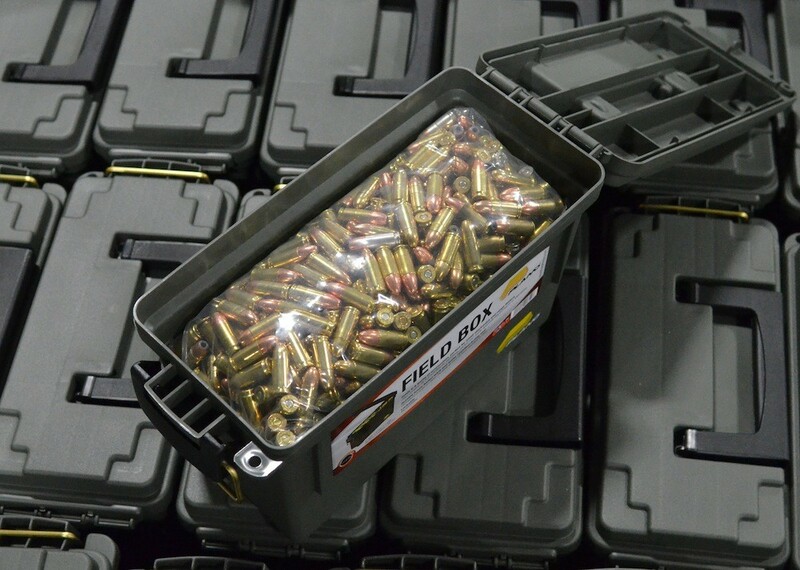 The rounds are good, the cases are undamaged, and the rounds will function properly but nobody wants to get a banged up box of ammo when they're paying full price. So, we're generally forced to scrap the ammo. Our guys take it out of the box, toss the rounds into a barrel, and pile up in the corner calling it "waste". We don't have a ton of it, but it's been collecting in our warehouse for years and it could be making somebody's guns really happy. These rounds need a home. While it would take us years to separate the full metal jacket range rounds from the hollow-point self-defense rounds but we could easily find a way to sort the calibers. The boys in the warehouse went to work and found a solution. They bought a few shell sorters and separated out all the calibers and then hand-checked to ensure the sort was done properly. Combined, it's a lot of ammo in a wide range of calibers. We're talking thousands of rounds ranging from 9mm to .22 long rifle, to 5.56x45 NATO. What that means is we have bins of various known calibers unsorted by grain or bullet type. 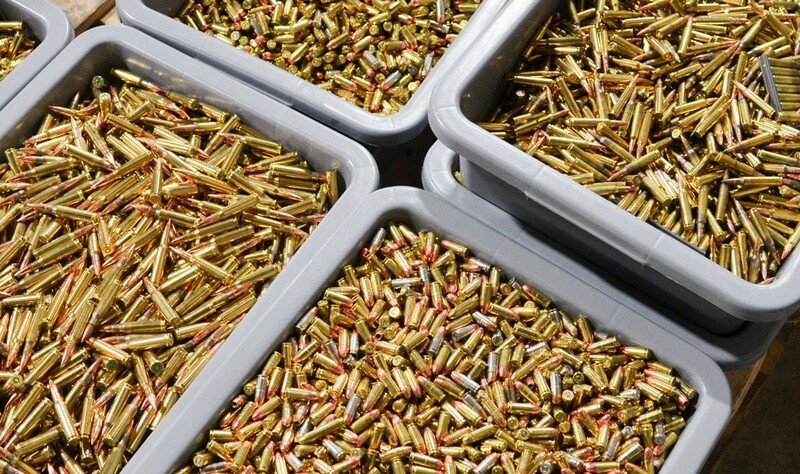 For example, our 9mm round bins contain rounds ranging from full metal jacket to jacketed hollow point, 115 grain to 147 grain, all mixed together in a bit of a hodge-podge. To sort it would cost thousands of dollars but we'd rather pass the savings on to shooters. From there, each caliber was bagged and placed inside a 30 Cal Plano or 50 Cal ammo can. Now, we have a limited inventory of these rounds available for a price that's extremely competitive and likely better than what you'll find anywhere else. We can't tell you how many rounds are in each ammo can because, we really don't know. We took a scoop, bagged it up, and put in the can. We can give you a ballpark guess and we'd tried to be as conservative as possible in the estimate so you know what you're getting. Remember, we have extremely limited quantities of each caliber and this represents the accumulation of several years worth of collected inventory in our warehouse. With that said, we expect to sell out pretty quickly please do not be upset if your particular caliber is out of stock before you get a chance to order. While we have done our best to provide a conservative estimate of the rounds in each can and the weight, because these are mixed rounds we cannot guarantee the weight or round count of each can. Also, because of the loose-packed nature of these rounds, we cannot accept returns on this ammo. You can get to each individual caliber by clicking the caliber name below. Please note, these products are currently sold out and were part of a Black Friday sale. * Indicates rounds will be delivered in a new 50 cal ammo can. Copyright © 2019 AMMOMAN.com. All rights reserved.